In your search for a used vehicle, you’ve more than likely come across plenty of certified pre-owned cars for sale. If you’ve asked yourself, “What does certified pre-owned mean?” Allen Samuels Chrysler Dodge Jeep Ram is here to guide you. Some Nickerson car shoppers may tend to group used vehicles and certified pre-owned vehicles in the same category when they’re on the hunt. The good news is that both options are budget-friendly, however, there is a difference between the two. Used vehicles will often be a little less expensive than certified pre-owned, and that is because they do not go through the thorough manufacturer-mandated testing that CPO vehicles do. Used vehicles often include very old and high-mileage cars. CPO vehicles, on the other hand, come with warranty protections, are often available with special financing rates, and come from late-model vehicles with relatively low mileage. How much mileage is too much? Learn more about good used car mileage with Allen Samuels Chrysler Dodge Jeep Ram. One of the greatest benefits of buying a certified pre-owned car is the peace of mind you’ll get. By the time it reaches you, it will have gone through rigorous inspections, and it will have been professionally reconditioned to be brought up to high CPO standards. Finally, it will also be certified by your local dealer! What does this mean for the shopper? You can feel solid in your decision because only quality used vehicles are accepted and approved. In the end, buying a CPO vehicle is almost like buying a new vehicle. In either case, you will get a warranty that may include convenient perks such as roadside assistance and free routine maintenance for a certain period of time, giving confidence Buhler drivers. Some dealers even offer a satisfaction guarantee and will allow you to return the vehicle if you discover anything wrong after you drive off the lot. Finally, CPO vehicles are often from recent model years, and most have low mileage, so you can truly feel like you’ve found a great deal. 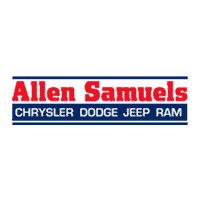 When you browse our inventory of certified pre-owned vehicles available now at Allen Samuels Chrysler Dodge Jeep Ram in Hutchinson, you can find the perfect certified pre-owned Jeep, Chrysler, Dodge, or RAM today! Feel free to contact us if you have further questions about CPO standards or would like information on a specific model. Drivers interested in savings should also be sure to check out our rotating selection of used vehicle specials, which features used vehicles that have undergone a quality inspection. Get ready to turn heads on Newton roads! 0 comment(s) so far on What Is Certified Pre-Owned?